Golf is a great game. Technology is working its way into our lives in just about every way it can, and golf is no different. This is in no way a complaint because there are some amazing products on the market that can help you shoot lower scores or just help you get more enjoyment from your round. With this short post, we will talk about some of the best new gadgets for golf in 2018. Let's do this! Golf Buddy Voice GPS - This cool gadget by Golf Buddy is a great tool to have on the course. It comes pre-loaded with over 33,000 courses worldwide and is very easy to use. This tool has many great swing features and will speak to you telling you the distance to key features on each hole you play. It sells for cheaper than some of the rangefinders and golf watches and is a great way to bring technology onto the course with you without breaking the bank. Zepp Golf 3D Swing Analyzer - If you are looking to get some in-depth insight into your swing, this awesome new golf gadget is the tool for you. With this tool, Zepp Golf makes it easy for you to analyze things like club head speed, swing plane, tempo, backswing, hand path, hip rotation, and much more. In an instant, you will have a wealth of information about your swing at your fingertips, which if analyzed properly can help you make the adjustments you need to shave some strokes off your scores. OptiShot 2 golf Simulator - While this product is not brand-spankin' new, it is relatively unknown to the public, but we feel that will change very soon. What do all golfers want?? To shoot better scores! With the OptiShot Golf Simulator, you can have an indoor range on the go, anywhere you please! Whether you are in your garage, man cave, or living room, the OptiShot is a great option for getting some swing time in. This swing trainer easily hooks up with your computer and can pair up with your HD projector with ease. This is a great way to keep your swing fluid all year round and makes a great gift idea for the golf lover in your life. Callaway ALLSPORT GPS Watch - I was recently reading through some Callaway golf watch reviews when I learned about the ALLSPORT watch. If you are looking to get a golf watch, this might be the best one on the market. The Callaway ALLSPORT features a built-in fitness tracker to go along with a razor sharp and accurate GPS system. It has more features than any golf watch on the market to date, and retails for under $200. The Callaway ALLSPORT golf watch comes loaded with over 30,00 courses, provides extremely accurate distances to key locations, provides an easy score keeping feature, tracks shot distances, auto hole advances, and can also sync up with your other devices to provide you with smart notifications to let you know of missed calls, messages, emails and more. These are just some of the main features of this watch, but there are many others you will be pleasantly surprised with. There you have it! With all of the cool tech products in the game of golf, narrowing it down to 4 was no easy task! As the world continues to make technological advancements, look for golf to remain at the forefront. 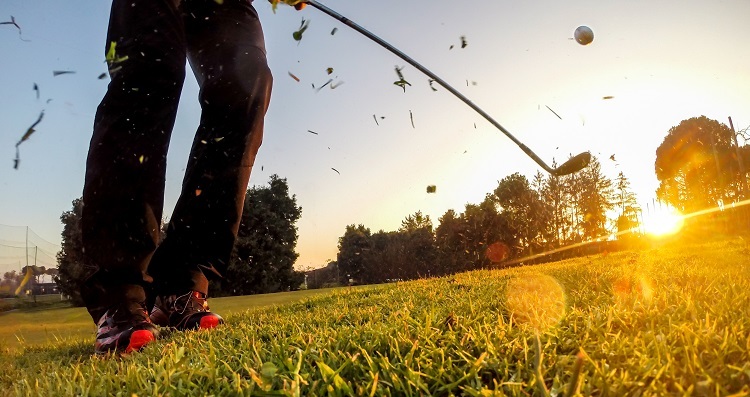 In general, there is a lot of money being spent on golf and as long as the demand is there companies and researchers will continue to bring all of us golf lover cool new gadgets that can help us shoot better scores, and that is what we are all after! Hit the ball straight and hard! We will leave you with a cool video showing some of the hotter golf gadgets in action, enjoy! Posted in Uncategorized. Tags: golf gps, golf gps watch on December 13, 2017 by coast.